0.1 Q: I am seeing “The maximum number of free accounts have been activated on the phone,” and now I can’t log into my phone because I keep getting this message. 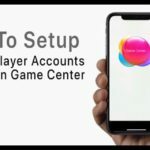 1 How do I remove the maximum number of free accounts that have been activated on an iPhone? 1.1 There’s no problem signing into existing iCloud accounts! Q: I am seeing “The maximum number of free accounts have been activated on the phone,” and now I can’t log into my phone because I keep getting this message. I tried to create an iCloud account on my iPhone, but I received that message about the maximum number of free accounts. Can anyone help! What does this mean? A: Apple limits users to 3 iCloud accounts meaning you can only create three iCloud accounts on each iDevice. You see this error when you try to create a fourth iCloud account on your iDevice (iPad, iPod or iPhone). Unfortunately, Apple currently limits all its iDevice products to a maximum number of free accounts–3 total iCloud accounts per iDevice. Any single iDevice creates up to a maximum of three iCloud accounts, and these accounts are tied to your iDevice’s hardware, not your user account. This policy limit means the restriction is attached to the iDevice itself. So you (nor anyone else) can never create another iCloud account on that particular iPhone or iDevice. It’s an Apple hard rule, so there’s no way around this set limit. If you already created all of your three iCloud accounts, you can’t create another iCloud account using that particular device. How do I remove the maximum number of free accounts that have been activated on an iPhone? Regrettably, restoring or resetting your iDevice does NOT change this. You cannot bypass this error message period. 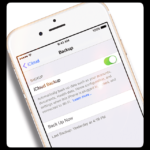 Your options are to either re-use one of the accounts that you previously created, or create a new iCloud account on a different iDevice or Mac. There’s no problem signing into existing iCloud accounts! So go ahead and create an iCloud account on a different iDevice or Mac, delete your current iCloud account registered on your iPhone, and sign into the account that you just created on the Mac or different iDevice. Sadly, you can’t deactivate any iPhone, iPad, or iPod Touch device created iCloud accounts, even if you don’t use them (or they were a previous owner’s account.) That’s because this maximum number is tied to the device itself–the hardware–rather than any one user. Any single device can ONLY create three iCloud accounts in its lifetime. And there is no way to change this or wipe the slate clean. However, there are options to get new iCloud accounts. Instead of creating an iCloud account on your current device, set one up on a Mac or a friend’s/family member’s iOS device–you cannot do this via a Windows PC or Android device. 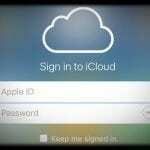 Once you set-up that new iCloud account, just log-in with your new Apple ID credentials on your device and you are good to go. Use another iPhone (or iPad) and sign in with your iCloud account. Give it few minutes. Then log in to the device which didn’t allow you to log in. It worked for me! Can I delete an iCloud account? If you used up all the Apple IDs allowed on your iPhone, you can still create a new Apple ID with iTunes on a Mac or PC or by using someone else’s iPhone, iPad, or iPod. I hit the maximum number of accounts on my iCloud but,I wanna delete the other old account. You can remove the old Apple ID account on your device, but even if you delete it you still cannot create a new Apple ID on that device since it already used all the accounts. You can create a new Apple ID on another device (doesn’t have to be yours) or with a Mac. Go to Settings > Apple ID Profile > iCloud, tap Find My iPhone, then turn it off. If you cannot remember your Apple ID or passcode, first you need this information by going to Apple’s iForgot site. Use this site to look up your Apple ID and get instructions on how to recover your password. Once you have that Apple ID and password and turn off Find My iPhone, you can then erase your device. Deleting an Apple ID is actually a lot more difficult than you expect. Apple recommends you just make your Apple ID inactive (don’t use it) rather than permanently deleting it. 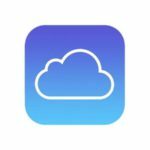 You can use iCloud on a windows computer. You can create an Apple ID using iTunes or with Apple’s website. You can also create an Apple ID with Apple’s website. Follow the steps to add in your information, like your full name, email address, birthday, and so forth. Choose a password and set up security questions. Apple sends a verification email to that email address. Open the email and then type in your confirmation code from the email to verify your new Apple ID. Well I have activated maximum number of free accounts in this IPad and I can’t sign in with a new one and I don’t even have another apple device to delete those accounts . Is there any other way in which I can solve this matter ? T, Please reach out to Apple Support and they may be able to help you with this. I had the same problem, wanted to sell on my already second-hand MacBook so I called them and they said it is something that is completely and utterly unable to remove whether its apple your asking or God. You get 3 sign ups per year and that includes SIGN INS. But if you give them a call they will tell you the date you can next sign in on a new one so I know that in 8 months I can sell my mac at least… probably when it’s worth £250 less. please who will create a new id for me so i can use for my iphone? You can ask a friend, family, or co-worker who owns either an Apple iPhone, iPad, or iPod Touch or Mac computer and set-up a new Apple ID on that device. If that’s not an option, go to a nearby Apple Store or Apple Reseller and ask them if you can set-up a new Apple ID using one of their in-store Macs or iDevices. If none of those are options, contact Apple Support and see if they have any additional options for you. First, make sure any restrictions are off–for iOS 12, look at Screen Time > Content & Privacy Restrictions. For iOS 11 and earlier, Settings > General > Restrictions. Disabled all restrictions temporarily. Then, check all places that an apple id is used–iTunes, App Store, iMessage, FaceTime, and so forth and make sure NO Apple ID is signed in. If so, sign out. If you still cannot enter your new Apple ID on your device, contact Apple Support and let them know you have a problem with your Apple ID. I bought a used iphone and now i cannot create an account because the maximum number is exhausted. Then i used a cousin’s iphone to create an account but can’t still still sign into my iphone. Try force restarting that used iPhone and see if you can enter the Apple ID Information at that point. If not, are you seeing any on-screen messages when you try to enter that new Apple ID? When you see this message on your Apple Device, it means all the Apple ID and iCloud accounts associated with the device’s serial number have already been used. So you cannot create a new Apple ID on that particular device. You can however still create a new Apple ID on another Apple Device or a Mac. Congrats on your new-to-you iPhone! What this message means is that you can not create a new Apple ID using that particular device, as it already had 3 Apple IDs associated with it. The easiest way forward is to use another Apple Device or Mac Computer (it can be anyone’s–a family member, friend, work colleague, or even at an Apple Store) and create a new Apple ID on that device or computer. Once you confirm your Apple ID, then sign in with that ID on your iPhone. Yes, it’s definitely more trouble than if the device were new. But you do this process once and you are done! If I tried to sign up iCloud they give me messages that the free number of maximum accounts has activated on this phone and I can’t get access to the iCloud. Can I do this from another phone ? Yes, you can establish a new Apple ID from another iPhone (or another iDevice) provided that it has not yet activated the maximum number of accounts associated with that particular device. Once the limit of three is reached, the iPhone (or any other device) cannot create any more Apple ID/iCloud accounts. There is currently no way whatever around it. Please contact Apple directly (we are a third-party Apple product troubleshooting site) in your home country. As you are a Tamil speaker, we’re guessing you are in India. Here’s the direct support link for problems with an Apple ID (iCloud) account in India. To check if your iDevice supports Tamil, look at these settings: Settings > General> Language & Region > iPhone Language > Look for Tamil. If, unfortunately, Tamil language is not available, please consider leaving feedback to Apple and request that Tamil is added as a language option in future iOS updates. Please ask a friend or family member if you can create a new Apple ID and iCloud account on their device or via a Mac. If you already have an Apple ID, you should be able to use it on any of your devices or computers. You just can’t create any more new Apple IDs on that specific device. If you cannot create a new Apple ID using a friend or family member’s device or Mac, contact Apple Support and locate a nearby Apple Store or Apple Reseller–they should let you use one of their Macs to create a new Apple ID for your device. Apple allows a maximum of 10 total devices to be associated with any single Apple ID–that includes devices like Macs, iPhones, and iPads but also any Android devices and Apple TVs. So what you need to do is remove any older and no longer owned or used devices from your Apple ID. The easiest way to manage your devices is via iTunes. Depending on when you associated your device with your Apple ID, you might need to wait up to 90 days to associate the device with another Apple ID. I have reached my limit of three accounts on this current iDevice it is prompting me to use iCloud but when I use my new iCloud account details it won’t let me use the account that I created on the apple website. Is there anything I can do about it because I have linked my 3 other devices to this account for Apple Music and purchases to be made available but now one of my devices which uses its own Apple ID won’t sign in i.e. This one Iphone that has a maximum number of FREE accounts on it. That message means you cannot create an Apple ID on that iPhone 6–it already has the maximum number of Apple IDs associated with its hardware’s serial number. However, you shouldn’t get this message when entering an existing Apple ID (not creating a new one.) Since this is a new-to-you iPhone, please do the following steps and then try to connect the iPhone to your existing Apple ID. If you have access to iTunes, it’s best to use iTunes to perform updates and erase/restores. I cloud is saying that maximum limits are completed so what should I do??? Sir.i bought a used iphone 5.he is the 3rd icloud user.so when i try to create u cloud .the message comes that *you cant create new icloud in this device.so i request previous owner to share his icloud account.he has shared and i opened i cloud. My doubt is that if i try to change after login, it wouldbe a new icloud or it replaced the old icloud id?so i can use my id in same phone? I have recently run into this exact issue. Only when I tried to create a new Apple ID on a different device and then log into the phone that was in question, the new Apple ID still didn’t work. It seems that the device will not accept any new Apple ID’s. I spent 4 hours on the phone with Apple, and another 1.5 hours in the store with the geniuses, and the only solution I was given by Apple was to go buy a new phone. Seems like yet another unethical ploy by Apple to sell more uneccessary products. I am so dissappointed with Apple products. I am a huge consumer of Apple products and I am seriously reconsidering my future purchases. I blight a second hand i phone and it show this on the phone ..i have no idea what any of the accounts are ..how can i solve this ?? Since your iPhone is New to You, it looks like the previous owner(s) already created that maximum number of Apple IDs on that device. This tally is based on your hardware and serial number, so there’s no way to reset it. So, what you can do is relatively easy. You’ll need access to another Apple device–iPad, iPhone, iPod, or Mac or via iTunes on a Windows PC. It doesn’t need to be owned by you–it can be anyone’s device. Then create your Apple ID on that other device. For iTunes, first, open iTunes. From the menu bar at the top of your computer screen or at the top of the iTunes window, choose Account > Sign In. Then click Create New Apple ID. Follow the on-screen instructions. For iDevices, open the iTunes Store App. Then, scroll to the bottom and tap Sign In and tap create New Apple ID. Unfortunately, you cannot create that Apple ID on your own device. 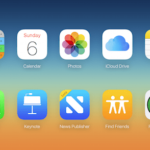 For information on iCloud accounts, please take a look at this article. Only you (or someone you designate–that you give access to certain private information like email addresses etc) can create an Apple ID account. If you are having trouble, consider visiting an Apple Store or an Apple Service Provider or Reseller in your area. Ask them to guide you through the process of setting up a new Apple ID using one of their showroom Macs. Once the ID is set-up using the Mac, enter that information into your iPhone or other iDevice. 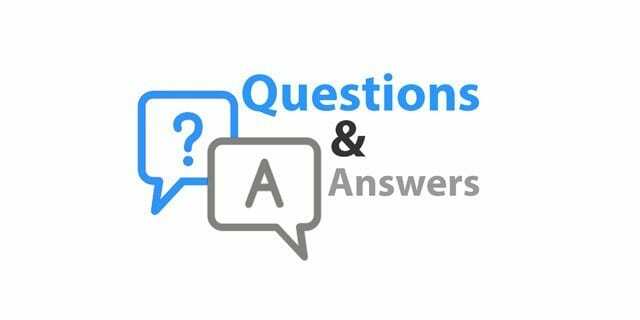 If possible, do this while you are in the Apple Store or Apple Authorized Provider–that way, they can troubleshoot any problems should they come up. Unfortunately, you cannot deactivate an account—that number of free accounts is tied to the hardware, so it’s not reversible. Unfortunately, you can’t deactivate these iCloud accounts, even if you don’t use them (or they were a previous owner’s account.) That’s because this maximum number is tied to the device itself–the hardware–rather than any one user. Any single device can ONLY create three iCloud accounts in its lifetime. And there is no way to change this or wipe the slate clean. However, what you can do is to create a new iCloud account on another Mac or a friend’s/family member’s iOS device (not Windows or Android), then log with this new Apple ID credentials on your device. If you’re seeing that message that means you cannot create another Apple ID with that device. But you CAN create a new Apple ID (and iCloud account) using a different device or a computer. “Cannot sign in. The maximum number of free accounts have been activated on this iPhone. please help. Sadly, there is nothing that you can do on your iPhone itself to create another free iCloud account. Apple allows only three free iCloud accounts per iDevice. And that restriction is tied to the device itself, so you will never be able to create another iCloud account on that phone. But you can create an iCloud account on another Apple iDevice or Mac! 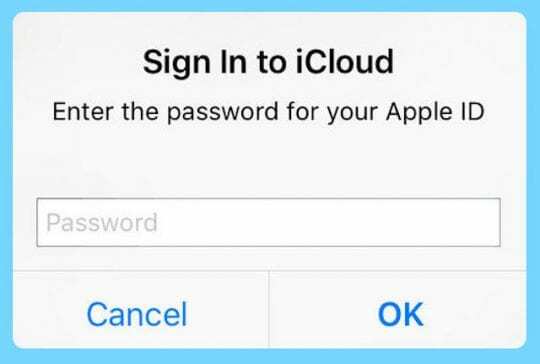 Once you create another iCloud account, delete the iCloud account currently on your iPhone and then sign into iCloud with the account credentials you just created. Just try this guys. It works. You’re not allowed to create a new cloud Id if you reach the maximum limit but still you can change the email, password and all the account details by log into iCloud. This remains the same cloud storage with different email Id and password… All u need to do at the last is delete the backup files from iclod. You must sign in on other latest IOS device for first time, then on one you need, it works . That means that this first device is unable to activate ICloud account because its IOS is to old or max free accounts have ben created on it initially. There is NO solution for such stupid restriction. To activate your new Apple ID you have to find another MAC of iPhone which hadn’t reach the maximum attempts. What else can I try? How this new iCloud account to work? I have this problem unfortunately but I have created only one account actually. This is absolute terrible customer service. I work for a company with a high staff turnover and we re-use phones when people leave. We have phones which are only 6 months old with this issue and its just a pathetic scam. Apple refuse to help and you are left with a phone which is even less useful than normal. I find that the voice quality on the iphone is absolutely horrific, its primarily a phone surely? Its certainly not much use as a personal computing device. 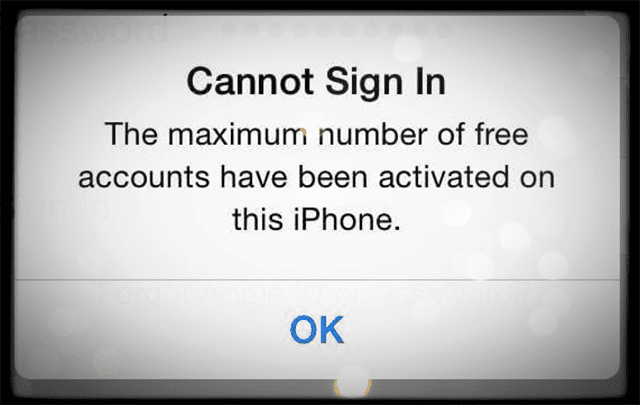 How can i fix the maximum number of free account have been activated on this phone …..i really tired with this problem. Can anybody help I have tried to set up icloud account and have only created it properly today now my iPad is tellin me I have maxed accounts and cannot sigh in at all also cannot connect to app or iTunes y is this please help .????????????????????????? Ok so someone help me! I’ve recently bought a used iphone 4 and when I try signing into iCloud with my old Apple ID it says maximum account limit reached on device! I’m seeing this problem everywhere is there anyway I can remove previous accounts made by previous owner from my device!? I created a new free apple account from my p.c and i could not use the free apple ID in my IPad…it said The maximum number of free accounts have been activated from this device. what is the solution for this? What else can I try? The iPhone is updated to the latest version of iOS, am I going to have to go to an older iOS to get the new iCloud account to work? But i wont active icloud i have not old icloud account please solve my problem. i am trying to fix my ipod but it says maxuim number of account please some on help me ? Can anybody help I have tried to set up icloud account and have only created it properly today now my iPad is tellin me I have maxed accounts and cannot sigh in at all also cannot connect to app or iTunes y is this please help .? I have two iPads. My husband has the older one. It was setup with my iCloud email acct. Can I create an account for him? If I can an I delete my icloud acct off his iPad, will it delete my iCloud acct altogether?